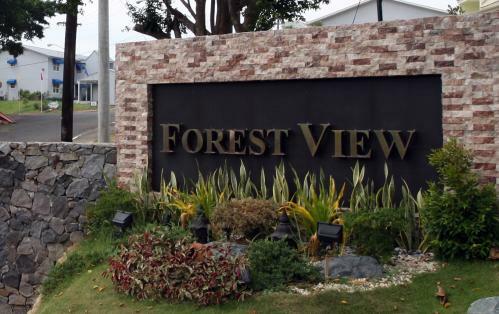 Forest View Residences is a US-style residential village in El Kabayo Road, Subic. They offer the units to families and big groups who are in the city for short trips or longer stays alike. Much like your usual village, the place is private and security is tight. You'll find here the peace and quiet you're looking for when in a vacation. Hotels in Subic range from PhP3500 - PhP 5000 per night, with strict number of guests per room. This one costs Php 6500 per night and can fit all of us so it's definitely sulit! There's a huge sofa and a 32" LCD TV in the living room. Sorry for the not-so-good angle. I don't want them to wonder why I even have to take a photo of the place. Hahaha. The Dining table is huge and classy, too -- minus the plastic covers, that is! The kitchen is complete with the basic appliances you'll need to prepare quick meals. On the opposite side is a large sink and another counter. The master's bedroom. It has its own bathroom with a dedicated shower area. And then 2 rooms like this. This is where we stayed, along with J's mom, and the family of his bro. We brought with us an airbed which we put in the center. All rooms have A/C units, by the way. This is the common toilet and bath. Not seen in the picture is a bathtub (sosyal!) and a water heater. It's equipped with a bidet as well. On the other side is the vanity counter and sink. Water pressure is strong also. - Fully-furnished, with high-end interior pieces. - Beds are comfy and A/C is working well so we had a good sleep. - The place is kinda far from the main road. If you have you own car, this won't be a problem. Otherwise, I don't think I saw public transport in the area. - When I pulled the comforter (the blue one in the picture above), there's a dead cockroach in there! It was disgusting, yeah, so we just didn't take the comforter off. We used our own blanket when it got too cold in the middle of the night. Rates and reservation details are here, here and here. P.S. I almost forgot, the power went out at midnight but it went back after around 30 minutes. I'm not sure if it was just a technical problem, or the house's way of saying "Happy Halloween!" Hahaha!